“That mysterious law, which causes certain normal processes, such as gestation, as well as the maturation and duration of various diseases, to follow lunar periods”, C. Darwin. Vinification: Stripped and gently pressed. Spontaneous fermentation (no added yeasts). Ageing in French oak barriques for 9 months and then in the bottle for 6 months prior to release for sale. 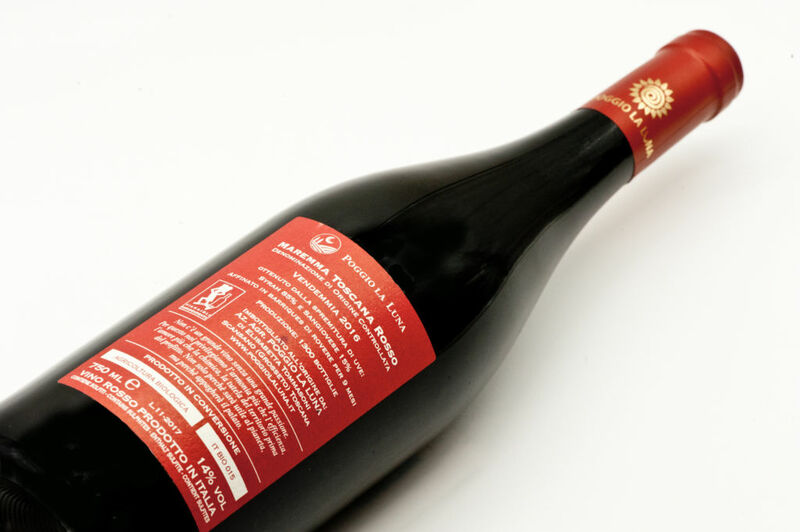 Tasting notes: a red wine of enveloping softness, a marriage between local characteristics and the unique features of an international grape variety made in the Tuscan style. Powerful and, at the same time, naturally pleasant tasting. 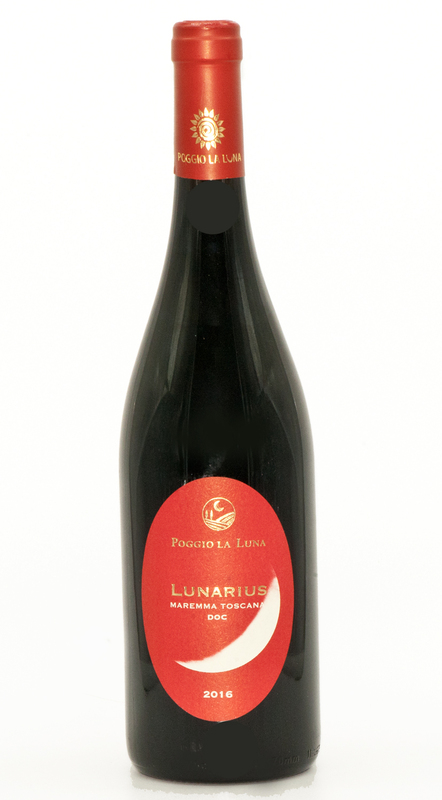 An attractive aroma profile with red fruit, spices and cocoa and Syrah’s characteristic black pepper nuances. Soft tannins, lovely balanced acidity. A generous, complex wine with tertiary aromas which, over time, take over from the fruity notes. Food pairing: The ideal choice for those wanting to try a typical wine from the local terroir. It is at its best with full-flavoured dishes but can also be enjoyed on its own. A ‘contemplative’ wine. We recommend you open the bottle at least an hour before drinking and serve in a medium-to-large size balloon or wide bowl glass to enable the wine to breathe.